The first ruler of the Swedish Munsö dynasty, Bjorn (Björn Järnsida in Swedish) was a well-known legendary king of Sweden who lived sometime during the 9th century. Resembling his father, Ragnar Lodbrok, Bjorn Ironside was also a fearless warrior and certainly a fierce ruler. He raided and pillaged several places in France, Spain, Italy, England, Wales, including ancient cities in Mediterranean Sea and coasts of North Africa, he was regarded as a great Viking Chief as well as a remarkable Naval Commander. Ironside was deeply inspired with Rangar Lodbrok’s conquest of Paris and he also wanted to achieve a victory of equal importance. He then decided to ravage one of the most powerful and among the rich cities at the time --- Ancient Rome. So in 859, a huge Viking fleet with 62 ships led by Bjorn Ironside accompanied by his brother Hastein set course to the Mediterranean. When his fleet was done raiding the Iberian coast and the fight with Gibraltar was through, Bjorn and Hastein plundered the south of France, and stayed over the winter, then Italy was ransacked next where they captured the coastal city of Pisa. After that, Ancient Rome became the target. Because of the heavily guarded city gates, Bjorn Ironside knew it would be very difficult to get to the city or breach the walls. Thus, Ironside and Hastein devised a cunning plan. Hastein emerged on a stretcher and his men declared, "We did not come here to plunder. Our chief is very ill and wishes to convert to Christianity before he dies." For the Romans, this was a serious dilemma. Although they had seen 62 Viking warships earlier that day and heard of the Illiad; how could they call themselves Christians if they deny a dying man his salvation? Hastein and 50 of his cloaked men were uncertainly allowed inside. He was then baptized prior to the funeral. 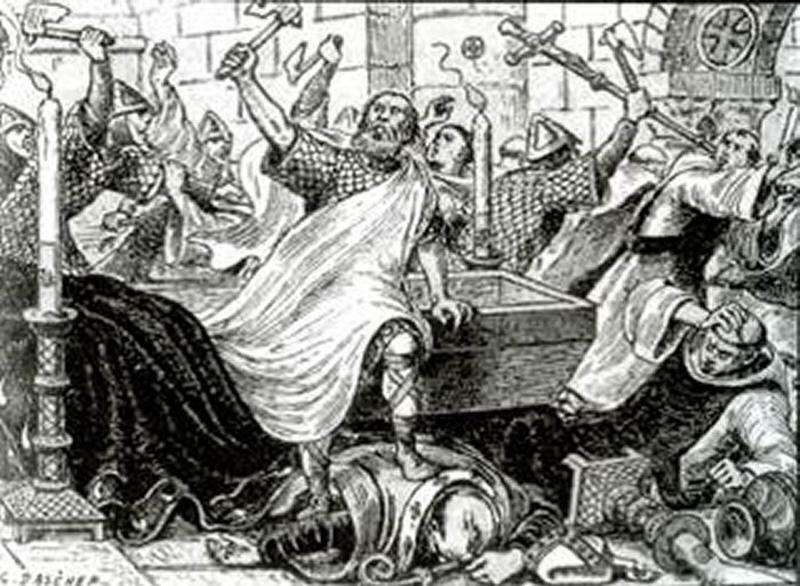 And as no one could've anticipated, Hastein jumped out from his coffin and commanded his men to raid everything. But then they realized, the city they pillaged was Luna and Rome was 250 miles away.